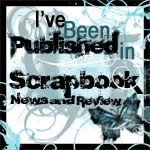 It's time for another May Arts/Lawn Fawn Blog Hop! 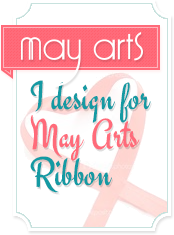 The May Arts Ribbon and Lawn Fawn Design Teams have joined forces to bring you a week of stamp and ribbon inspiration. I love gift packaging especially when it's in the Thrifty Gifting category. I found a entire package of 12 orange and 12 yellow gift bags at a home decor shop for $1 each. That's $2 for 24 gift bags! I used a bright orange bag as the starting point for this sweet thank you gift bag and card tag set. I covered the front of my bag with a colorful pattern from Lawn Fawn's Hello Sunshine 6 x 6 paper pack. I love the bright happy colors! Next, I covered a library pocket with 2 more selections from the Hello Sunshine pack. I cut a piece of cardstock to fit the pocket, then stamped images from Lawn Fawn's Summertime Charm set in fun Tsukineko Neon Pigment inks. I used May Arts Elastic Plaid Ruffle, and sparkly 4MM String Beads on the pocket. A hole punched in the top got some May Arts Sheer Ombre Watermelon ribbon that I heated with my heat gun to give some crinkly texture. A bit of bright orange and pink tissue paper finishes the color theme...brightly! That's it! Quick, easy gift packaging for pennies thanks to May Arts Ribbon and Lawn Fawn! Be sure to scroll down for the rest of the hop list. You've got the whole week to hop, be inspired and win! There is an awesome giveaway, of course! 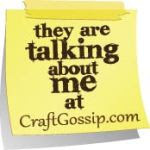 There are 3 sets of prize packs of a roll of ribbon and a stamp set each. That's 3 winners total. 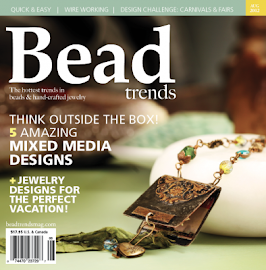 You have to post on both the May Arts blog and Lawn Fawn sites to win. Here's the list for the week in case you miss one along the way. That is a great bag!! Love that stamp set, great choice of ribbon! Oh my gosh, this is TOO cute! Charlene, just love this gift bag. I prefer to use them because they can be used over and over. how fun are those, and cheap and homemade. very awesome! This turned out so bright and festive! What a bargain! What a pretty and fun project! I love the pastel colors and all that ribbon! wow! what a fun project! thanks for sharing! Love love love your adorable gift bag. Never think about decorating my gift bags! Changes now! What a great gift bag! 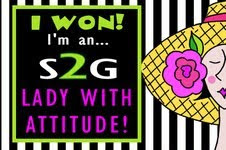 Love the bright colors you used and the sweet sentiment. Thanks for sharing. I adore the ruffle! It adds just the right homey touch to your gift bag! Thanks for sharing and inspiring!!! Love this adorable gift bag ansemble! It's so sweet and would add so much to any gift. LOVE your bright & cheery colour combo, adorable tag with the prettiest stamp & ribbon combo and to top it off, it started with a bargain too => love it ALL!!! This bag is wonderful! Perfectly-matched, and wow on the ribbons! I just love your gift bag, I have already copied it and made it yesterday. Thank you so much for sharing it. What a great way to give a gift bag! It make a special greeting for a special gift. The pocket on the front is perfect. YOUR fabulous gift bag, brightened MY day!! Love the fun colors and whimsy! Love the bag. Such bright cheerful colors! Your gift bag is so pretty and cheerful. I love the bright colours and the fun idea of the little ruffled pocket to tuck the tag into. Now how could anyone not feel better receiving a gift like that? Cute gift bag! I love the happy, vibrant colors. Gorgeous gift bag - love the colors. What a sweet gift bag. I love all the beautiful bright colours. Wow!! I love the colors, so bright and cheerful!! Thanks for sharing your fabulous design and ideas, such wonderful inspiration!